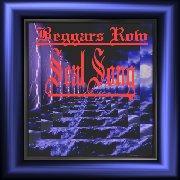 Beggars Row have Four CDs at present and number five is being planned. traditional songs mingled with some of the bands own compositions. "Soldiers of Peace" which praises those gallant people who actively tie themselves up in trees or hide in man made tunnels to protect this planet from being destroyed by greed. To listen to a track from the Almost Sober Cd click the Button below. The second CD was more of a party album by request of many fans around the world and has been very successful. It is mainly a collection of up-tempo old favorites with one or two Beggars Row own compositions again particularly one of the fan's often requested "Ciara's Song" written by Gus. The third CD is named "Seal Song"
after a haunting tune that Gus wrote and plays on the fiddle. On this album two thirds of the material was written by Beggars Row. To listen to a track from the Seal Song Album click button below.